EDITOR’S NOTE: This article was originally published in the Summer 2017 edition of Tahoe Magazine. It was first published on this website in August 2018 and is presented in its original form. When the dinner plates are cleared, the dessert menus brought out, and the conversation still going, it’s time to linger a while longer over something indulgent. Desserts may be the cure for a sweet tooth, but a carefully chosen after-dinner drink will provide the true proverbial cherry on top of the meal. With several regions of distilleries in Scotland to choose from, scotch offers a range of flavor notes. Those who are introducing themselves to scotch could look for selections from the Lowlands. Lowland scotches tend to be light, fresh and, because unpeated malt is used, not smoky. A fruitier flavor can be found in Speyside scotch, which also has notes of vanilla and honey. Scotch from Islay pulls salty flavors from the nearby sea into its peaty and bold taste. The Highlands, which is the largest region for distilling, have a wider variety of offerings. Some are sweet while others are peaty, but most have a firm and sometimes spicy flavor. Irish whiskeys are distilled three times to scotch’s two, which makes for a much smoother and lighter drink. Irish whiskey also comes without the smoky and earthy flavors. On this side of the pond, America produces several styles of whiskey. The most popular, bourbon, has vanilla and caramel notes, as well as oak flavors from the barrels it’s aged in. Those looking for something a little fruitier and spicier should look for rye whiskies. 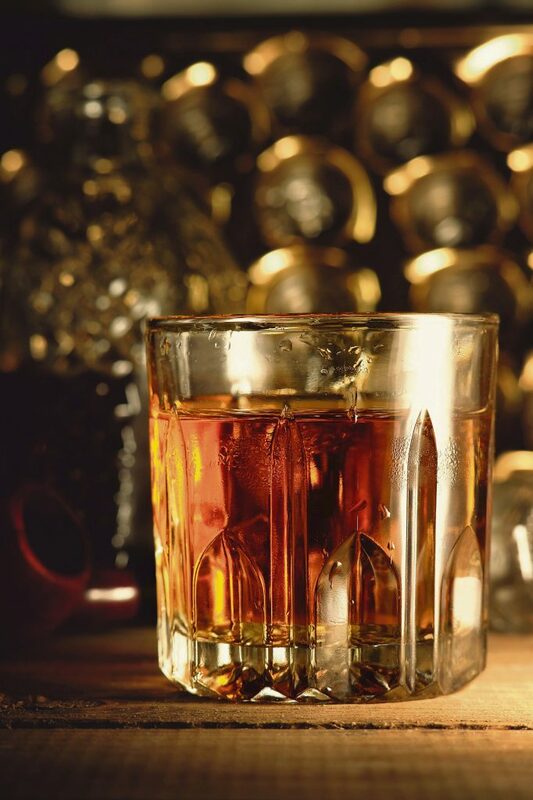 Peter Fain, a bartender at Moody’s Bistro Bar & Beats in Truckee, recommends a single ice cube for whiskey orders to help take the heat off the flavor and make it more palatable. “When they’re at room temperature, they’re hot and boozy,” he said. Fain also urges diners to try a whiskey sour or another whiskey-based cocktail after dinner because it gives a dessert feel without being as heavy. 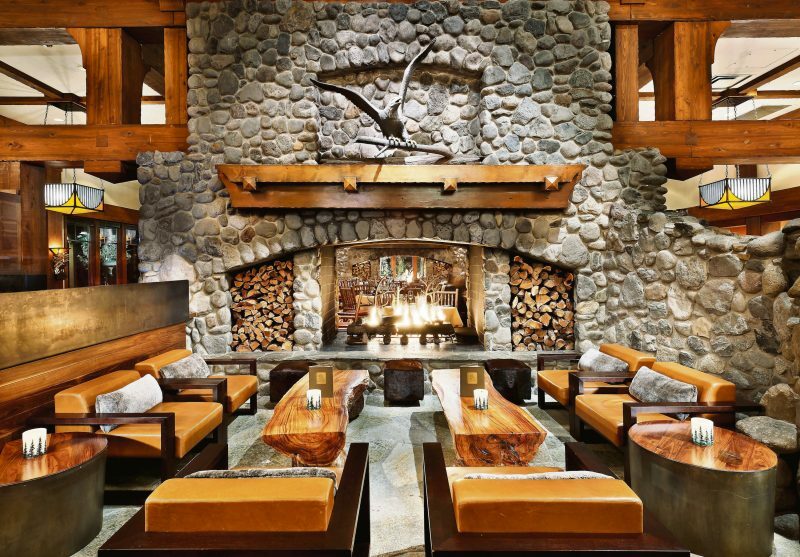 Melissa Gibson-Taylor, a bartender at Riva Grill on the Lake in South Lake Tahoe, often recommends an Irish coffee after dinner to help diners from getting sleepy after their meal. Brandy is produced by distilling wine and offers a sweeter flavor than other liquors. 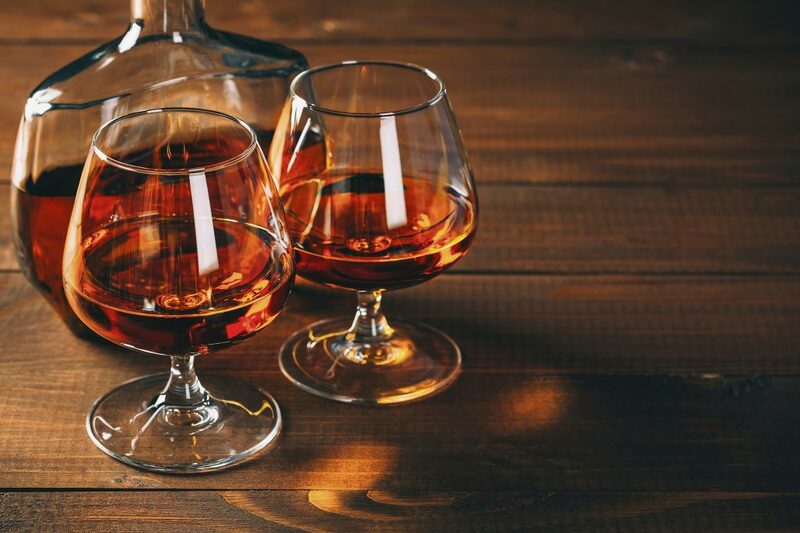 Brandy can be made from any fruit wine, though the two more commonly known regions that produce this spirit, Cognac and Armagnac, use grapes. Both these regions require their brandies be made with specific varieties of white wine grapes. Because it has been distilled twice, Cognac tends to be smoother, with nutty and floral notes. Armagnac, which is distilled once and then aged longer in oak barrels, provides a bolder flavor, with vanilla and dried fruit. Other brandies made across the world are distilled from a variety of fruits. Their flavors will be more dependent on the fruit used. Fortified wine and dessert wines make for a popular after dinner drink as their sweetness provides a dessert-like tasting experience. Fortified wines, such as port, sherry and madeira, are wines that have had a distilled spirit mixed in. 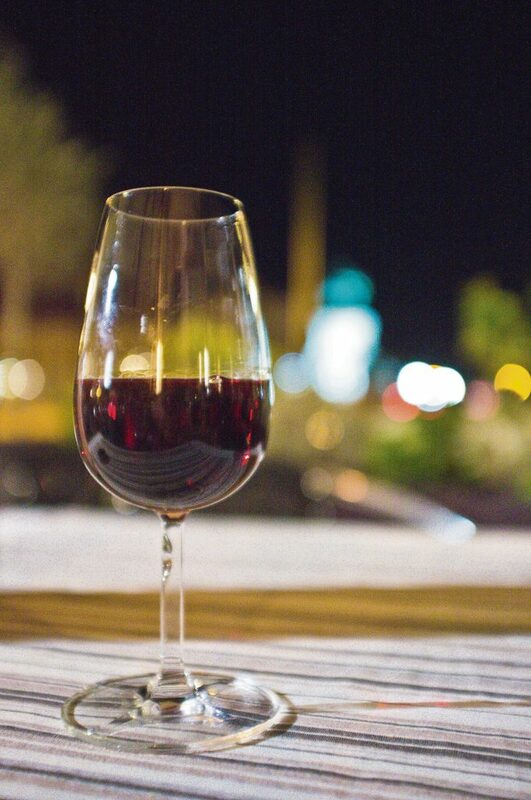 Port, a red wine from Portugal, is generally very sweet, dark and rich. Sherry and madeira are available in a range of dry to sweet. Fain advises that because wines have a shelf life, fortified wines are often a smart order because they last longer after being opened. According to Fain, diners can call on their non-dessert wine preferences to help order a dessert wine. Zinfandel fans would enjoy port, chardonnay fans sauternes, and sauvignon blanc fans tokay/tokaj, he said. Sweet wine and sparking dessert wine are made from sweeter grapes, and offer a more refreshing after-dinner drink. Because they do not have a spirit added in, they also have less alcohol content than fortified wines. Traditionally, after dinner drinks are meant to serve as a digestif (i.e. to aid digestion). While fortified wines and brandies fit this bill, there are a few other options for diners who may not desire something as sweet or complex. Rina Parsley, a bartender at Lone Eagle Grille in Incline Village, said she often serves sambuca, an anise-flavored liqueur. Gibson-Taylor recommends amaro, an herbal liqueur with an earthy flavor, because it helps with stomach aches. “It’s an acquired taste but it’s amazing,” she said. 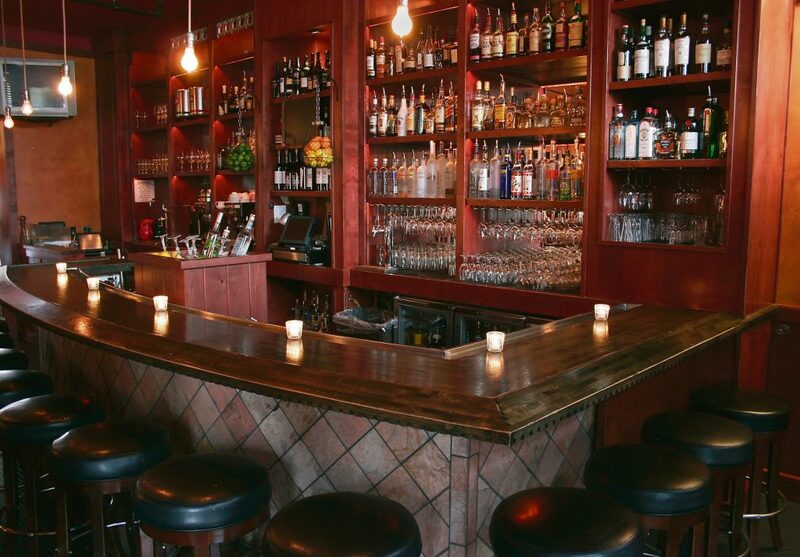 The art of ordering an after-dinner drink is making a selection that will complement the rest of your meal. Parsley recommends that diners stick with the same family of alcohol throughout the meal. “If they’ve been having wine with all of their courses, then we would recommend a port that would be a little sweeter for them,” she said. For spirits, she said many diners will opt to end the evening with a higher-end liquor than with what they started. Fain said he often recommends a crisp, high acid-based white wine when diners have enjoyed a lighter faire. The acid helps cleanse the palate and refreshes the mouth, he said. Gibson-Taylor said that red wines are best with steak and other red meats. When ordering a dessert along with your drink, there are many pairings to consider. For example, port does well with chocolate, creme brulee, ice cream and other heartier desserts. “It’s almost best to have a piece of chocolate when you drink port,” said Gibson-Taylor. She also said she recommends moscato, a sweet white wine, with desserts that are light and fruity, such as tarts. When it comes to debating the right drink to order, Fain suggests that diners simply ask the server, who has already guided them through the meal. He recommended asking for a drink the server thinks will end the meal nicely. “Trust the servers and let them make some decisions for you,” he said. Gibson-Taylor said that opting to sit at the bar will give diners the opportunity to taste a couple options before making a decision. Emily Stott is a former Design Desk Supervisor for the Sierra Nevada Media Group and a former contributor to Tahoe Magazine.